Mckenna, Brian. "Jean Drapeau". The Canadian Encyclopedia, 20 April 2017, Historica Canada. https://www.thecanadianencyclopedia.ca/en/article/jean-drapeau. Accessed 23 April 2019. Jean Drapeau, CC, GOQ, lawyer, politician, mayor of Montréal 1954¬–57 and 1960–86 (born 18 February 1916 in Montréal, Québec; died 12 August 1999 in Montréal). 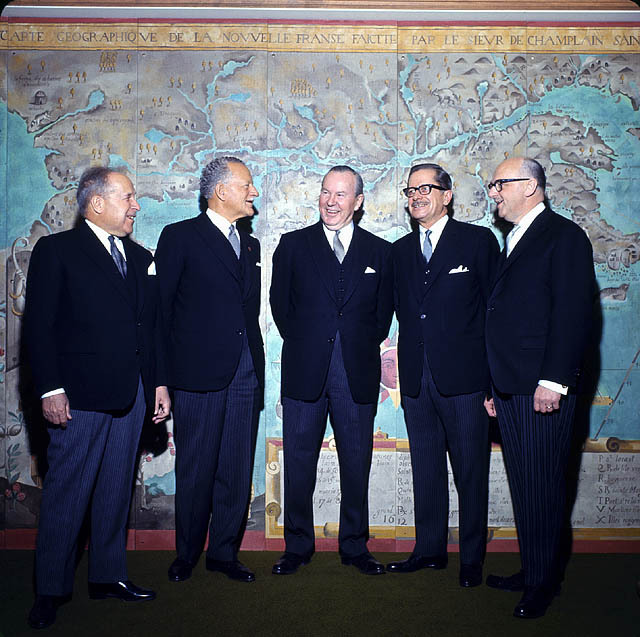 Jean Drapeau’s longevity as a politician was such that during his 29 years as mayor of Montréal, seven prime ministers and nine Québec premiers took office. 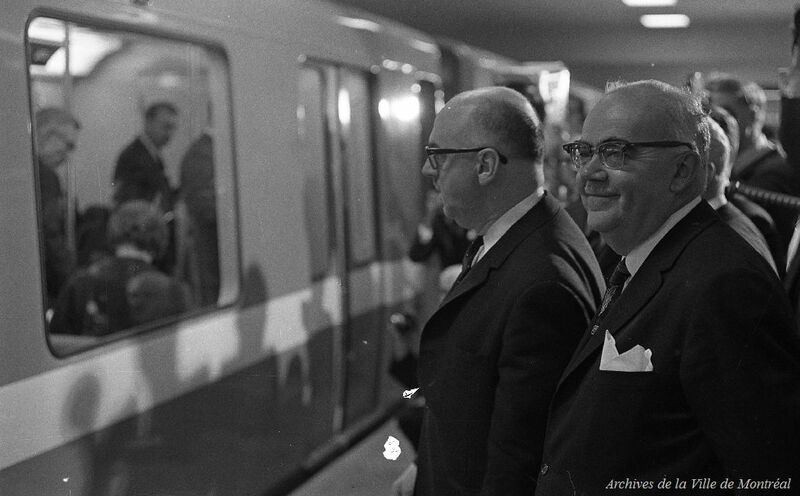 He gave Montréal its largest piece of urban transit infrastructure, the Montréal metro, and two of its greatest moments: a 1967 World Exposition celebrating Canada’s centennial that drew 50 million visitors, and the 1976 Olympic Summer Games. However, he also presided over the decline of Montréal as Canada’s business capital and largest city. 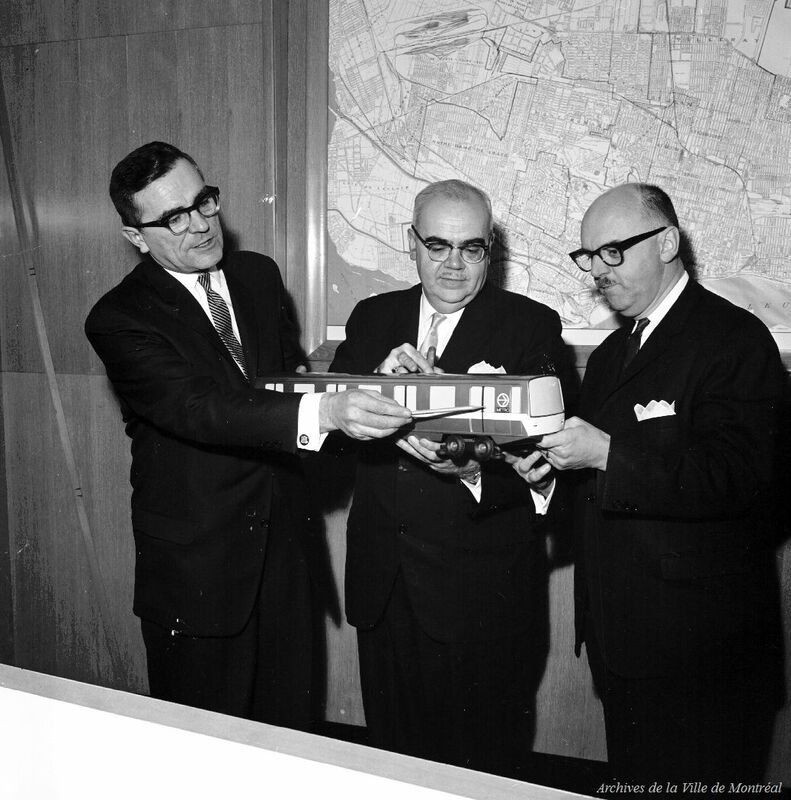 Jean Drapeau oversaw many grand projects as mayor of Montréal, including the Olympic Games and Expo 67 (Canapress). The only son of Joseph-Napoléon Drapeau, an insurance salesman, and Berthe Martineau, an opera singer, Jean received a degree in social science, economics and political science in 1937 from the Université de Montréal. He graduated with a degree in law from this same university in 1941 and was admitted to the Montréal Bar in 1943. 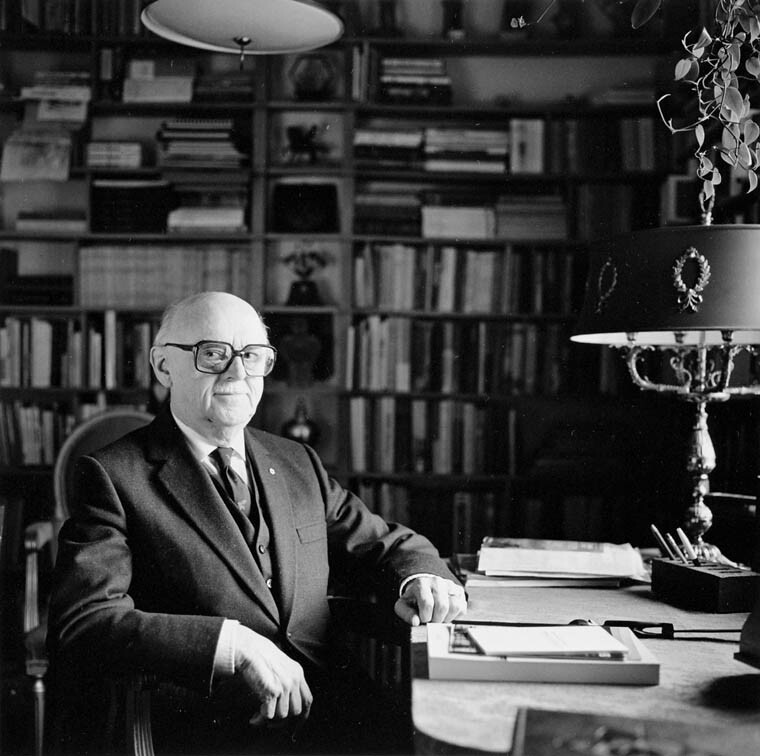 Protégé of the nationalist priest and historian Lionel Groulx, he defended his own belief in a Catholic, conservative Québec as a nationalist candidate in a 1942 federal by-election and a 1944 provincial election. He lost both, but his reputation grew as he joined the shakers of his generation to defend a Catholic union during a brutal strike in Asbestos, Québec in 1949 (see Asbestos Strike). 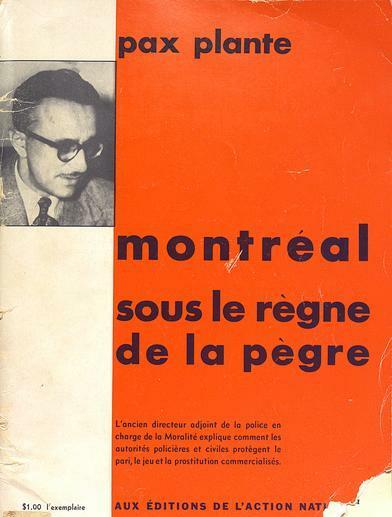 Drapeau then caught Montréal’s imagination, serving, along with Pacifique Plante, as a prosecutor on the public inquiry into police corruption. 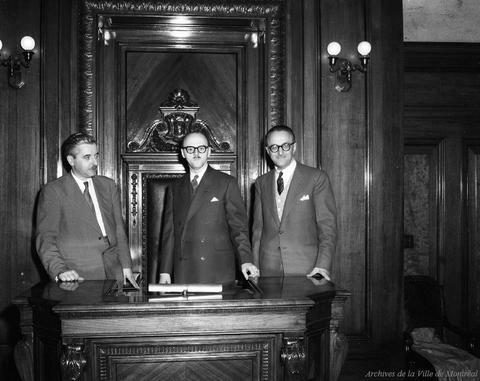 The work of this commission, presided over by Justice François Caron, took place from September 1950 to April 1953. The inquiry drew heavy media coverage and helped position Drapeau as a popular and respected figure. 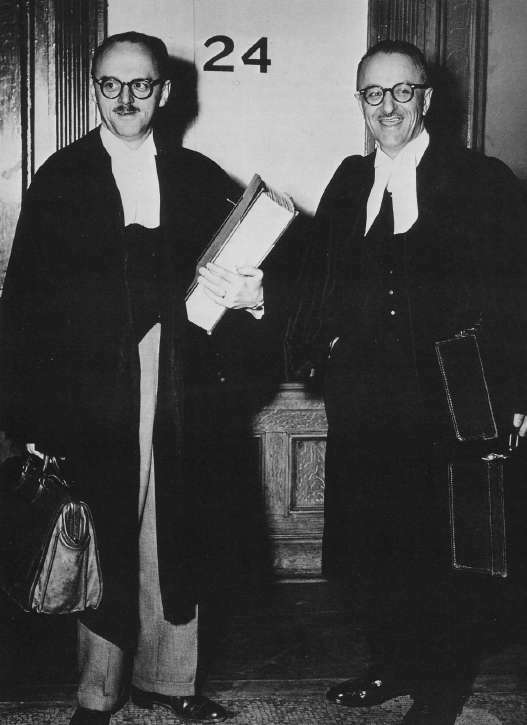 On 8 October 1954, when Justice Caron filed his report, Drapeau announced he would run for mayor of Montréal to replace outgoing mayor Camillien Houde. Drapeau won the election on 25 October 1954. He was just 38 years old. Drapeau kept the subway promise, delivering a distinctive and expensive system: its cars ran on rubber tires instead of the traditional steel wheels on rails, and its stations were embellished with stained glass and mosaics. 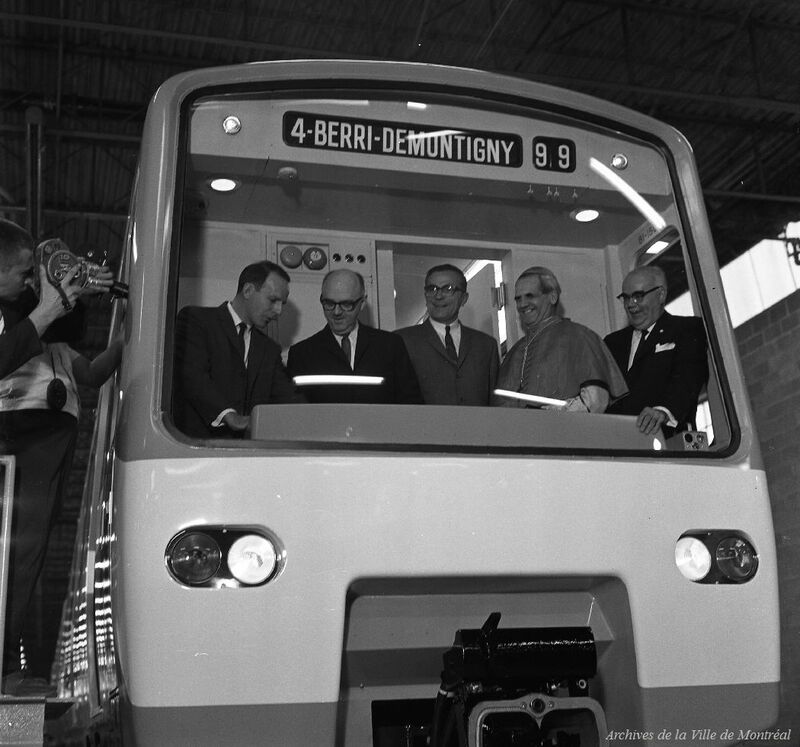 The Montréal metro opened on 14 October 1966, on time for Expo 67 and Canada’s centennial celebrations. However, if Drapeau reformed the electoral system and modernized the police department, he ignored or skirted issues such as public housing, city planning and pollution control. In 1987, Montréal was still dumping raw sewage into the St. Lawrence River, much the same as it had when the city was founded in 1642. Pavilions of Ontario, Canada, Western Provinces, seen from the pavilion of France. On the left, the basin and waterfalls of the Québec pavilion. 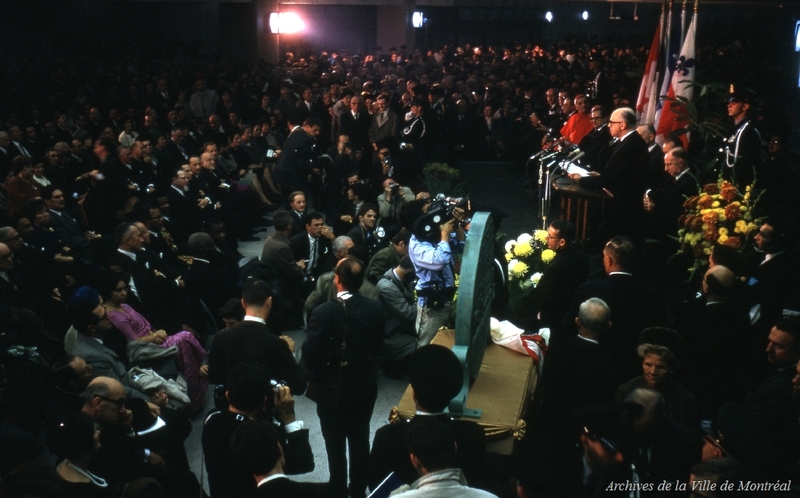 Montréal, Québec, 30 April 1967. 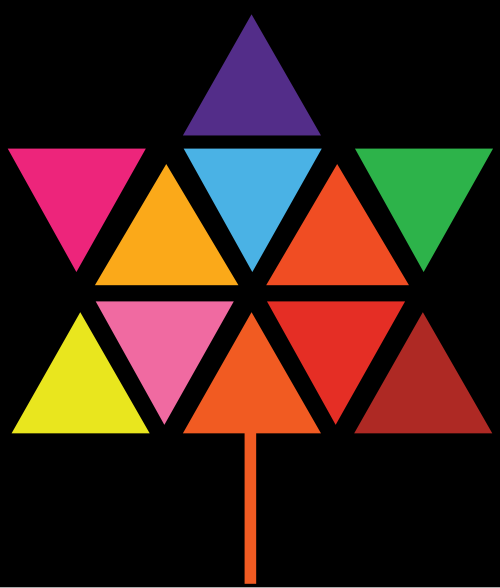 Logo of the centennial of Canadian Confederation, 1967. A Marker commemorating the 100th anniversary of the confederation of Canada. Located in Kingston, Ontario, Canada. Drapeau had a taste for the sensational. In 1969, his labour relations grew so bad that all but 47 of his 3,780-member police force struck. The army was summoned to quell the looting and nationalist street riots. Yet, the same year, he single-handedly brought Montréal a major-league baseball team, the Montreal Expos. More circuses, said his critics. 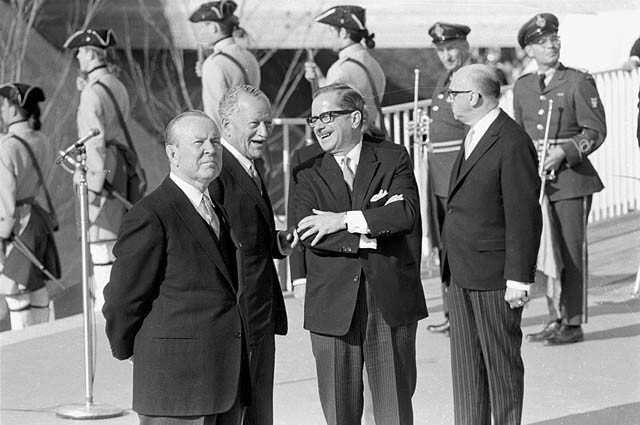 Drapeau’s ruthless and authoritarian side emerged during the 1970 Québec kidnapping crisis (see October Crisis). In a city election held while the draconian powers of the War Measures Act were in force, Drapeau smeared the opposition as a terrorist front. Amid hysteria, his principal opponent was locked up with 467 others, and on 25 October 1970, Drapeau’s private party won all 52 council seats. He rang up 92.5 per cent of the mayoralty vote. 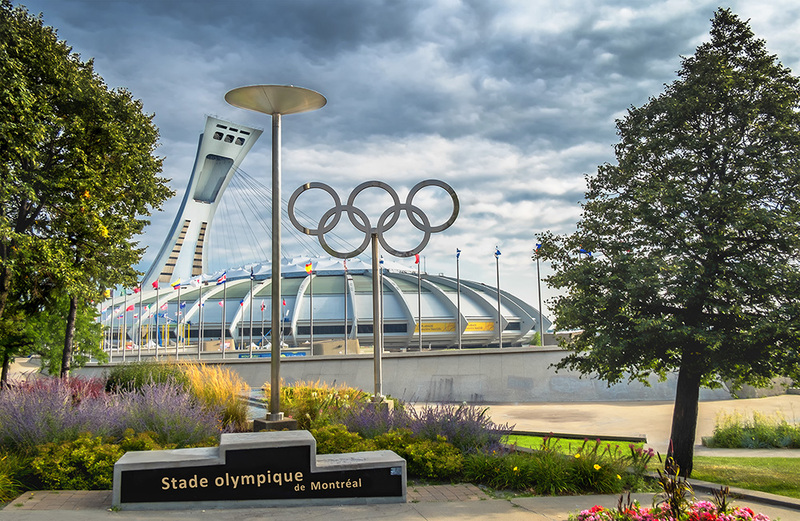 The Olympic Stadium is a multi-purpose stadium in Canada, located at Olympic Park in the Hochelaga-Maisonneuve district of Montréal, Québec. Built in the mid-1970s as the main venue for the 1976 Summer Olympics, it is nicknamed The Big O. Photo taken on 3 September 2015. 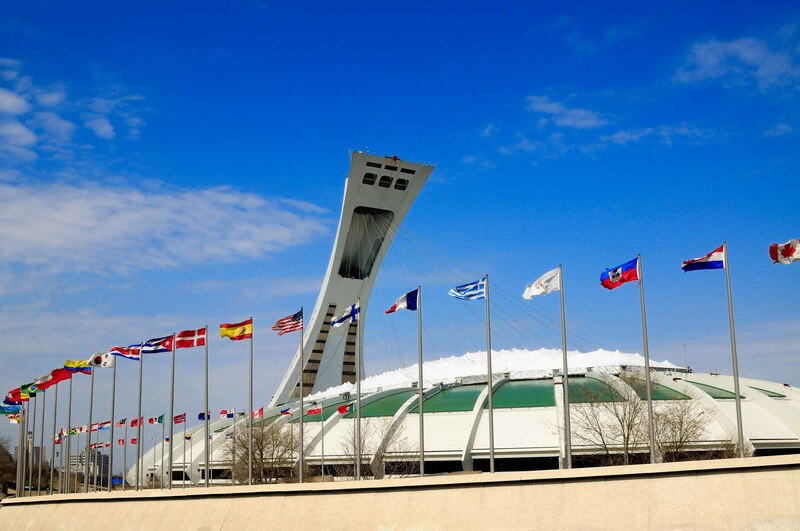 Olympic Stadium of Montreal, Quebec, host of the 1976 Olympics. The absolute power Drapeau won in that election allowed him to ram through his plan for the 1976 Summer Olympics, whose massive white concrete structures incarnated his “politique de grandeur.” Budgeted at $310 million, the final cost was $1.3 billion, not counting the Olympic stadium tower, which stood unfinished until 1987. A provincial inquiry blamed the mayor for the cost and rampant corruption. But there was no evidence that he lined his own pockets. 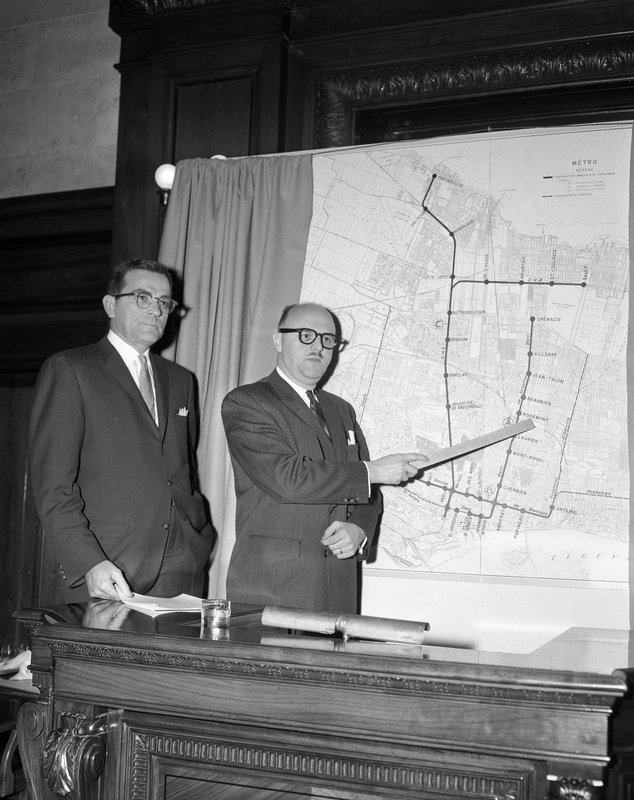 Montrealers re-elected him in 1978 and again in 1982, but it was the end of big projects. During his decades in politics, he received many invitations to run for provincial or federal office and was sometimes tempted, but he sensed that Montréal was his best platform and there he remained until the end of his eighth term. On 20 June 1986, slowed by a stroke, Drapeau summoned the press to a site in the shadow of his pyramids, the Olympic installations, in the east-end neighbourhood where he began his political career and where he still lived in a modest house with his wife of 41 years. Many Montrealers wept with him as he announced his resignation. His friend, Prime Minister Brian Mulroney, appointed Drapeau to finish his political career in Paris as Canadian ambassador to UNESCO; he held the position from December 1986 until 1991. 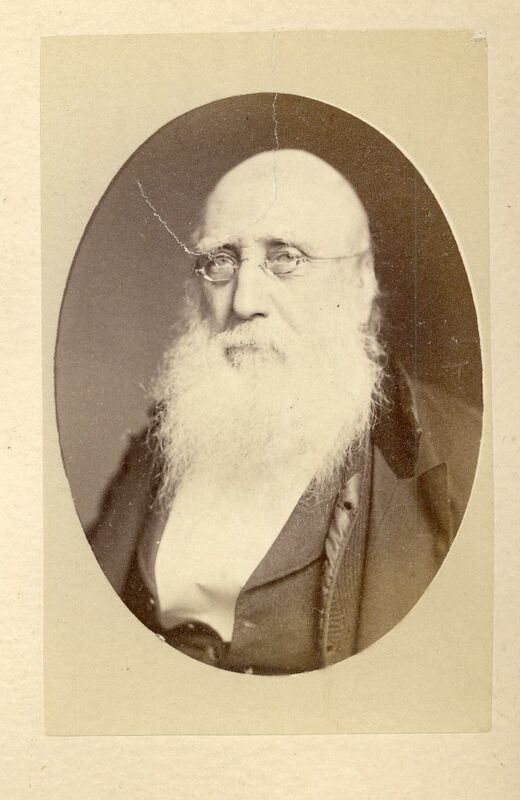 With Drapeau gone, his Civic Party was reduced to a single council seat. 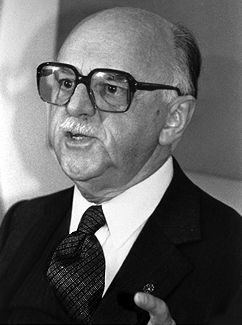 The Montréal Citizens’ Movement under Jean Doré took power in the November 1986 election. 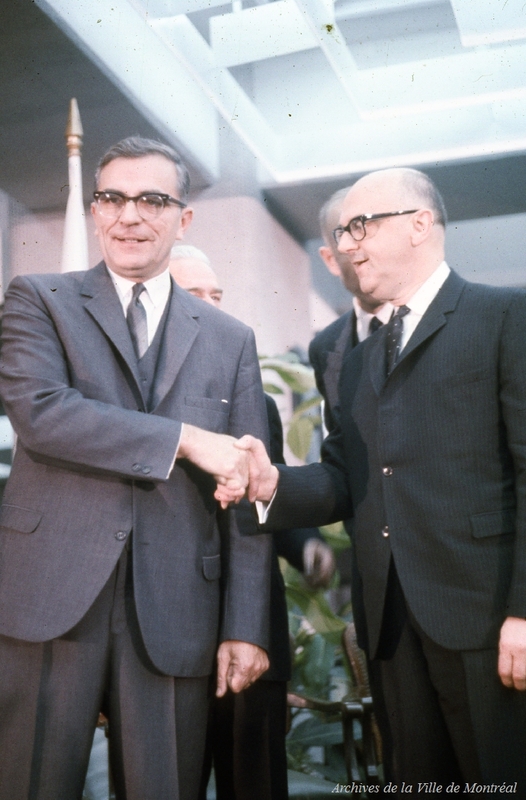 Throughout his long political career, Jean Drapeau received honorary doctorates from a number of institutions: Université de Moncton, Université de Montréal, McGill University, Sir George Williams University (now Concordia University), Université Laval and the Institut Goswell. In 1965, Canada’s 10 provincial ministries of trade and industry awarded him a trophy in recognition of his outstanding contribution to industrial development in Canada. Recipient of a Gold Medal from the Royal Architectural Institute of Canada in 1967, he is among the first Canadians to have been made a Companion of the Order of Canada. In 1978, he became a member of the Academy of Great Montrealers. The Government of France awarded Drapeau its Légion d’honneur with the rank of Commandeur in 1984, and Québec named him a Grand Officer of the National Order of Québec in 1987. Shortly before his death, a statue was unveiled in his honour in La Dauversière Park, near Montréal’s City Hall. In 2000, Île-Sainte-Hélène station on the Montréal metro was renamed Jean-Drapeau. A park on the city’s Sainte-Hélène and Notre-Dame islands also bears his name. B. McKenna and S. Purcell, Drapeau (1980). 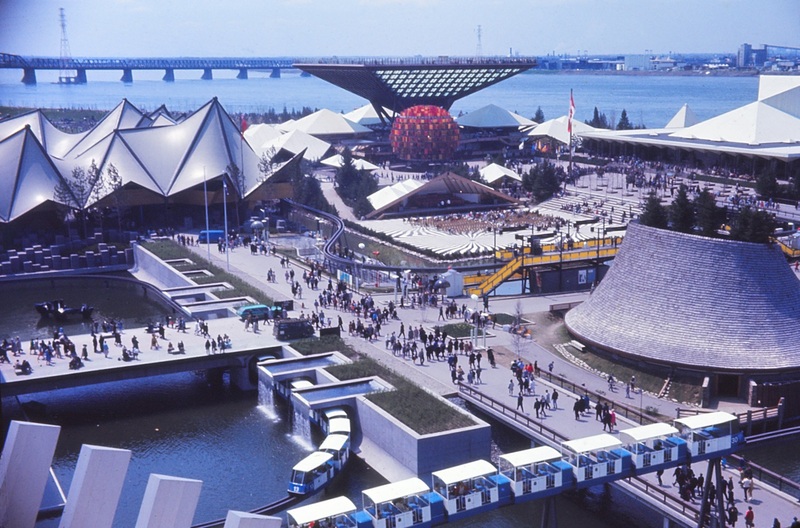 Expo 67Watch the Heritage Minute about Expo 67 from Historica Canada. See also related online learning resources.